Written by William on June 14, 2011 and posted in Uncategorized. 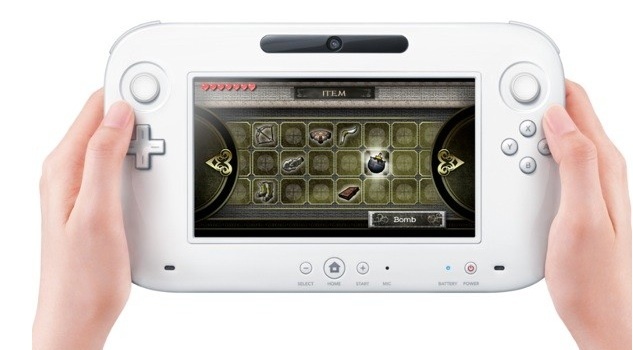 Check out this Zelda demo on the soon to be released Wii U (formerly the Wii 2 or Project Cafe) console. This is just a demo and not an actual game, but it’s being played in 1080p and that has never been possible on any Nintendo console, EVER! You can buy a component cable for the Wii that allows you to play in 720p but never as high as 1080p. In this video what is shown is the Zelda demo, Link fighting a spider (Ghoma) like boss. It’s also the Wii U controller demo. 2 analogue sticks, 4 shoulder buttons, 4 normal buttons on the left and a D-Pad on the right. It also has almost a full array of Wii buttons like “+” “-“ and “Home”. Also featuring a 7″ touch screen making the controller appear massive. Expansion ports for various things like a microphone and a built-in camera. What is shown is 2 separate lighting effects being toggled from the controller to prove that it’s not a streamed pre-rendered video. Camera angle switching and a button to push the image from the TV right to the controller, the reviewer even commenting that the gaming could continue whilst the TV is switched to another channel. However with the data from the controller screen in normal mode is moved to the TV I feel that this may somehow not work 100% in practice. So in total on the touch screen there are 3 buttons programmed in for the Zelda demo. HD graphics look good, this is to show what is possible for the next (after Skyward Sword) Zelda game and by the time it comes to the game release im sure there will be more than 3 interactive buttons for the touch screen. The Wii U looks like it’s shaped up well and could indeed compete along-side the 360 and the PS3.